Stretch every time you exercise. The only way to improve your flexibility is through consistent stretching exercises. Every muscle is subject to the myotatic reflex (stretch reflex) which opposes changes in muscle length, especially sudden or extreme changes. When a muscle lengthens beyond a certain point, the myotatic reflex causes it to tighten and attempt to shorten. This is the tension you feel during stretching exercises. The myotatic reflex is desirable because it prevents, in many cases, muscle strains and tears. Without it your muscles would be allowed to overextend and tear easily. But it is also undesirable in cases where it prevents you from fully using your body. Vital Points: What Are They and Why Do They Work? A vital point is a pressure sensitive point on or near the surface of the human body. Vital points function like gateways to the nervous system, the main controller of the body, allowing you to use pain to influence the actions and reactions of an opponent. Even a single strike can cause serious damage, unconsciousness or, in rare cases, death. For example, a forceful strike into the Wind Mansion (GV16) at the base of the brain can result in instant death. The gallbladder (on the right side of the trunk, below the liver) and the Sauce Receptacle (CV24) on the tip of the chin are targets for potential knockout blows in boxing. The carotid artery, temple and Philtrum are common targets for striking in a selfdefense situation. Basic condition, including flexibility, strength and agility training, is a prerequisite for speed training. The completion of basic conditioning is signaled by a level of fitness that allows the athlete to begin the more intensive exercises that develop explosive power. Once the target muscles start to develop, begin working on skill refinement. Each skill should be examined to eliminate unnecessary movements and increase biomechanical efficiency. Knowing and doing are as different as night and day. The gap between knowing and doing is where great men and women are made or lost. Most of us know what we have to do to achieve our dreams, but we have a hundred and one reasons not to act on our knowledge. We don't have enough money, we don't have enough time, we don't have the skills, we don't have the materials, we don't have the patience, we don't have the courage, and on and on into eternity. The reality is that with all of the energy we use to think up and justify those excuses, we could be half way to achieving our goal. If only we had the motivation to get started on the "doing". That is where the first section of this book comes into play. The place we have to start practicing motivational skills is with ourselves. Once we can motivate ourselves, we can motivate anyone. Strategy is a method to defeat the opponent through analysis of the situation, judgment of the available options and immediate execution of the most appropriate action. The purpose of using strategy is to manage the course of the match while conserving energy and moving wisely. To execute an effective strategy in the match the fighter must be thoroughly familiar with the rules and regulations of the game, as well as the strategies in use by the current top international fighters, and have mastered fundamental skills that work in every situation. In the ring, the fighter also must be able to rely on his coach to evaluate the opponent and formulate strategy based on this evaluation. Competition taekwondo is a game of strategy. The result of the match often hinges on the strategic proficiency of the competitors. This article is excerpted from Sang H. Kim's classic book Teaching Martial Arts: The Way of the Master. The foremost element in teaching is careful planning. Plan the objectives for each class and delegate the amount of practice time you will allow for each. For effectiveness and safety, carefully consider the type and number of exercises and skills you will teach in every class. Set goals for each class. Students can perform better and learn more quickly when they have goals to work toward. In setting your classroom goals, it is best to identify each individual’s strengths and weaknesses whenever possible. This insures smooth progress and avoids unnecessary frustration. For the greatest motivational value, goals must be specific and reasonably difficult to accomplish. There are certain types of opponents in sparring who are very difficult to defeat including those who are very aggressive, those who are good at closing the distance quickly and those who hit and run. This article will provide a few simple to use counterattacking solutions for these types of opponents. Contrary to popular belief, there is no magic supplement or diet that creates outstanding athletes. Athletes' needs are very similar to those of nonathletes when it comes to nutrition. Athletes, like nonathletes, need daily supplies of carbohydrates, fats, proteins, vitamins, minerals and water. The major difference is that athletes, depending on their level of activity, require more of everything. Their bodies work harder during exercise, causing them to burn more calories and use up energy supplies faster. They are the strokes of life. Combinations also can be classified by the force that they apply. Force classifications are defined by the direction in which they apply force to the opponent. Consequently, they are often more difficult to identify than directional classifications. Force is an internal characteristic that is not readily evident to an observer. It can be obvious, as in unified force or deceptive as in opposing force. The back kick is one of the most powerful kicks in taekwondo, but it is often neglected because it can be risky if done incorrectly. Using the back kick as a counterattack against a roundhouse or axe kick is an excellent means of scoring. This article will describe a few of the most popular offensive and defensive uses of the back kick in taekwondo competition. Taekwondo is a traditional Korean martial art that has been developed over 20 centuries. It has been evolved into a new Olympic sport. And yet the fundamental skills have changed very little. This article includes descriptions the fundamental traditional taekwondo blocks and some tips for performing them. Much has been written about the effectiveness of one system or another in a realistic or "street" situation. Many styles claim to be scientifically designed or to have secret techniques to defeat even the toughest of opponents, including armed assailants. Yet when it comes to an assailant armed with a knife, you don't need to learn a lot of fancy, secret techniques, you only need to remember four simple options. In an armed confrontation, basic is best and the most direct techniques are the ones that will give you the opportunity to walk away when it's over. The following article is intended to give a brief overview of knife defense tactics for the experienced martial artist. Many years have passed since I survived dozens of missions as a special agent while serving in the Korean military. Many missions involved combat, both with weapons and with fists. A few members of my elite 202 unit survived, many never made it. Looking back, I find something valuable for my friends who couldn't make it at the time. In the Academy for Special Agents at Jeong-Neung, Korea, my combat instructor T.K. Kim used to scream at us during the grueling knife-fighting training sessions, "Do not run away from your opponent, get closer to him! Dissolve the knife in your head!" The cardinal rule of combat, whether against a knife or an empty-handed adversary is "Stay close to your opponent!" Especially when your opponent is armed with a knife, there is often no way out but to stay close and fight. The behavior problems associated with ADD and ADHD tend to lead to other problems. Children who are disruptive in school are quickly labeled troublemakers, ruffians, bullies or just plain dumb. Children at the other end of the ADD spectrum are labeled lazy, stupid, underachieving or spaced out. To make things worse, these children often have trouble understanding why their behavior is wrong. This explains the ADD child’s tendency to look genuinely shocked when he gets in trouble. One of the biggest challenges to improving the behavior of the ADD child is teaching him to recognize the consequences of his actions and to see things from other peoples' point of view. Find a complete selection of Sang H. Kim's taekwondo, fitness and self-defense instructional videos at Amazon.com, including all of the titles formerly available on DVD from Turtle Press. "Mindful Movement: Mastering Your Hidden Energy"
is available in e-book and print. One Mind One Breath is about Mindfulness in Motion. Sang H. Kim, author and lifetime martial artist, shares his thoughts and research on mindfulness in all aspects of life with an emphasis on mindful movement, breathing, stress resilience, motivation, mind-body connection, ki flow, and internal energy. MBX 12, created by Dr. Sang H. Kim, is the twelve essential movements of the mindfulness-based stretching and deep breathing exercises (MBX). MBX-12 consists of the 12 core and 52 connecting movements that activate the 12 meridians, the inner energy channels in the body. 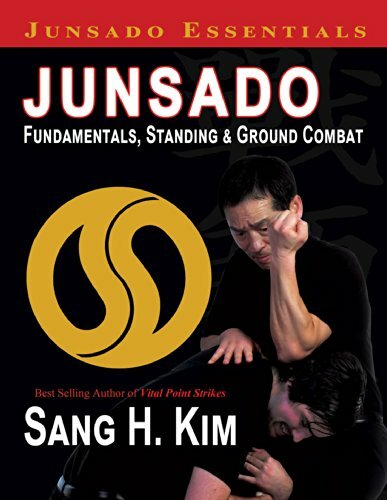 Junsado, founded by Sang H. Kim, is the way of combat expert. Junsado techniques are grounded in the principles of change: changes in you, changes in your opponent and changes in the environment are all considered in Junsado strategy. It is a living art that evolves and adapts to the individual fighter and environment.